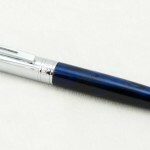 Recently, I have a seen a lot of chatter on the ‘net about the objectivity of fountain pen reviewers. There was a bit of a kerfuffle on the FPGeeks forum a few weeks ago, several postings on Reddit, emails exchanged between reviewers behind the scenes, and comments (many of which were poorly spelled, missing punctuation, and all in caps) left on YouTube videos. It is clearly an issue that many people are paying attention to right now. And therefore, it is an issue I’d like to address. The gist of these complaints seems to center around reviewers receiving pens, ink, and paper from manufacturers or retailers, and how those review items impact the objectivity of reviews. While I can understand, and even share, these concerns, they are indicative of an attitude about FP reviewers that isn’t quite accurate. Reviewing fountain pens? It’s something I do for the fun of it, because it gives me a chance to share one of my hobbies, and because I’m an attention whore. It’s not a job. What little I get “paid” to do it doesn’t even come close to covering my costs, let alone compensating me for my time. So, clearly, not a job. That’s the conflict that many FP reviewers find ourselves in. We’ve landed in this grey area between hobbyists and professional reviewers. There is an expectation for us to put out reviews of a wide variety of pens at regular intervals, yet nobody is paying us a salary or giving us a corporate card to acquire review materials. For the most part, that’s fine. I’m happy reviewing the pens I purchase for my own personal use. But that means the kinds of pens I review are going to, naturally, be skewed toward my own purchasing preferences. I don’t have the money to buy pens I don’t want, and I’m not willing to bankrupt myself in order to get the materials I need to publish 1-2 reviews a week. So, when we’re approached by a manufacturer or a pen retailer and offered review pens, inks, or even sponsorships, most of us are happy to entertain those offers. Well over 90% of the costs for producing season 1 came from my personal bank account or credit cards. Season two, it’s closer to 75%, thanks to many generous donations from viewers, and a couple of sponsorships from pen retailers. This can be an expensive hobby, and if the choice ever comes down to me having to jeopardize my ability to retire someday simply so I can record another pen video? Well, I hate to break it to you, but The Pen Habit will be SOL. The concept of a reviewer getting free access to the items they review is not new. Movie reviewers get free access to the movies they review. Book reviewers get free copies of the books they review. Game reviewers get free access codes to games before they are released. Tech reviewers are sent demo units to review. The internet is littered with “beauty” bloggers who get skads of free cosmetics. Does this impact objectivity? I think that it certainly can, but probably not as much as you may think. You know why? BY DEFINITION, A REVIEW IS SUBJECTIVE. IT IS BASED ON THE TASTES AND PREFERENCES OF THE REVIEWER. THE IDEA OF A TRULY OBJECTIVE REVIEW IS FALLACIOUS. An overview goes over the statistics and properties of a pen, but doesn’t include any opinion. This is not what I do, or want to do. I review pens. 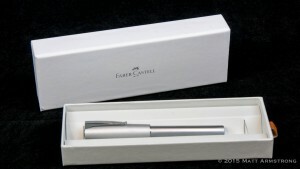 A review often includes an overview, but also includes the reviewer’s opinions about the pen. Yes, receiving a free pen can have some impact on the reviewer’s opinion, since that free pen may change the “value proposition.” We may subconsciously be more forgiving to a mediocre free pen than to a mediocre expensive pen, but I would argue that the bias is slight. And it certainly doesn’t introduce subjectivity into a previously objective review. The best any reviewer can do is be upfront about it and let the reader determine for herself if the bias is high enough to invalidate the review. At PenHabit.com, I do, and will continue to, accept pens for review as well as user donations and site/video sponsorships. I want to keep doing reviews, and this is how I am getting closer to affording it. I have always had rules about what I will and will not do as a reviewer, but I’ve never fully codified or communicated them. It is my hope that, with this new Reviewer Code of Ethics, you will know exactly where The Pen Habit stands. That way, you can decide if my opinions are sufficiently objective enough for you to put any stock in them or if you need to find another pen reviewer whose standards more closely align with your own desires for reviews. The Pen Habit has always included, and will continue to include, disclaimers in all written reviews and videos that indicate when review materials are provided for review—whether from a manufacturer, retailer, or fellow pen-friends. In all cases, The Pen Habit will make every possible effort to not allow the receipt of an item to color my opinion of that item. However, it is my hope that full transparency will help to offset any unintentional bias that may arise. The Pen Habit will accept items from manufacturers for review purposes under the mutual understanding that the resulting review will be an honest indication of my feelings toward that product. At no point will The Pen Habit accept items explicitly or implicitly in exchange for a falsely positive review. Pens – The Pen Habit will accept pens for review purposes from manufacturers. Following the review, all pens from manufacturers will be returned to the manufacturer, given away to Pen Habit readership, or, in the event I really like the pen and wish to keep it, purchased with my own funds. The Pen Habit does not accept “free” review pens from the companies that make those pens. 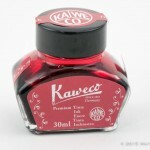 Ink & Paper – Fountain pen inks or paper products provided by manufacturers, as low-cost consumables, may be kept by the reviewer, free of charge. Review disclaimers will indicate that the item has been provided for review purposes. 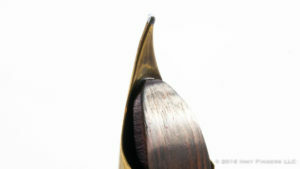 Other Accessories – Pen cases, pen stands, notebook covers, folios, etc., may be kept by the reviewer if the cost of the item is under $50 USD. 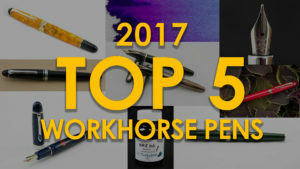 Items over $50 USD will be returned to the manufacturer, given away to Pen Habit readership, or purchased directly from the manufacturer. The Pen Habit offers sponsorship slots for The Pen Habit website and YouTube Channel. The Pen Habit does not accept sponsorships from pen manufacturers or their brands. 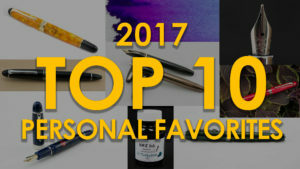 The Pen Habit will accept sponsorships from pen retailers who sell a variety of brands and manufacturers. Pen Habit sponsorships may be purchased with cash or with pens and accessories (which will be assigned a dollar value and attributed to the sponsorship account accordingly) at my discretion. Reviews of pens provided by a retailer sponsorship will include a disclaimer indicating such. The Pen Habit will not review, rank, or explicitly endorse individual retailers. The presence of a retailer’s advertisements or sponsorship on Pen Habit blog posts or videos should not indicate endorsement of that retailer’s products or services. The Pen Habit currently allows YouTube to insert pre-roll advertisements before videos on the Pen Habit YouTube channel. The Pen Habit does not control which advertisements are shown in these pre-roll ads, nor is their appearance prior to a Pen Habit video an indication of endorsement of that product or service. The Pen Habit accepts monetary donations from individual viewers via Patreon, PayPal, or Google Wallet. We do not knowingly accept monetary donations from pen, ink, or paper manufacturers, or individuals who work for those manufacturers. Individuals who donate funds do not get to influence the items reviewed or the content of reviews in any way. Why can’t modern manufacturers recreate vintage flex?